Cullin, M. & Crawford, B.A. (2002). Using Technology to Support Prospective Science Teachers in Learning and Teaching About Scientific Models. 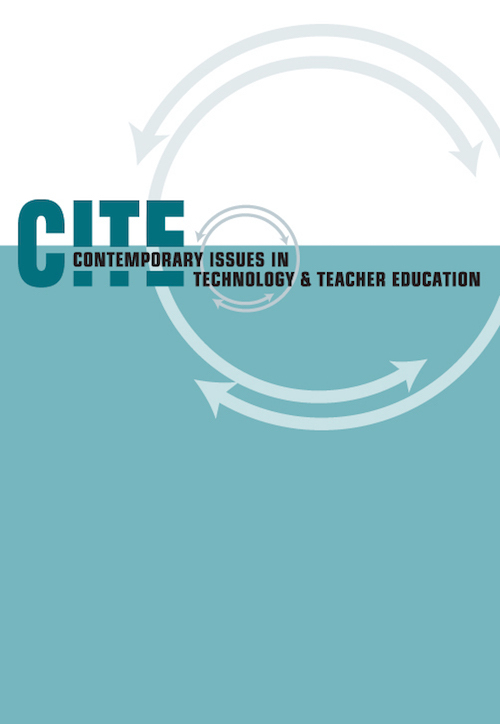 Contemporary Issues in Technology and Teacher Education, 2 (4), 408-425. Norfolk, VA: Society for Information Technology & Teacher Education. Retrieved April 24, 2019 from https://www.learntechlib.org/primary/p/14548/. Anderson, R.D., & Mitchener, C.P. (1994). Research on science teacher education. In D. Gabel (Ed. ), Handbook of research on science teaching and learning (pp. 3-44). Black, M. (1962). Models and metaphors. Ithaca, NY: Cornell University Press. De Jong, O., & Van Dreil, J.H. (2001). Developing pre-service teachers’ content knowledge and PCK of models and modelling. Paper presented at the National Association for Research in Science Teaching Annual Meeting, St. Louis, MO. Dunbar , K. (1999). How scientists build models invivo science as a window on the scientific mind. In L. Magani , N.J. Nercessian , & P.
Giere, R.N. (1990). Explaining science. Chicago: University of Chicago Press. Gilbert, J.K. (1993). Models and modelling in science education. Hatfield, UK: Association for Science Education. Gilbert, S. (1991). Model building and a definition of science. Journal of Research in Science Teaching, 28(1), 73-80. Grosslight , L. , Unger, C. , Jay , E. , & Smith, C. (1991). Understanding models and their use in science: Conceptions of middle and high school students and experts. Journal of Research in Science Teaching, 28(9) , 799-822. Harrison, A.G. (2001, March). Models and PCK: Their relevance for prac-t ic ing and pre-service teachers. Paper presented at the annual meeting of the National Association of Research in Science Teaching, St. Louis, MO. Hesse, M. (1966). Models and analogies in science. London: Sheen and Ward. Jackson, S., Stratford, S., Kracjik, J., & Soloway, E. (1995, March 1995). Model-It: A cases tudy of learner-centered software for supporting model building. Paper presented at the Working Conference on Technology Applications in the Science Classroom, Columbus, OH. Marshall, C., & Rossman, G.B. (1999). Designing qualitative research (3rd ed.). Thousand Oaks, CA: Sage Publishers. McComas , W.F. , Clough, M.P. , & Almazroa , H. (1998). The role and character of the nature of science in science education. Science and Educa-t ion , 7(6) , 511-532. Miles, M.B., & Huberman, A.M. (1994). Qualitative data analysis: An expanded sourcebook. Thousand Oaks, CA: Sage. National Research Council (1996). National science educations tandards. Washington, DC: National Academy Press.